– to your ideal accommodation in the center of Thessaloniki! 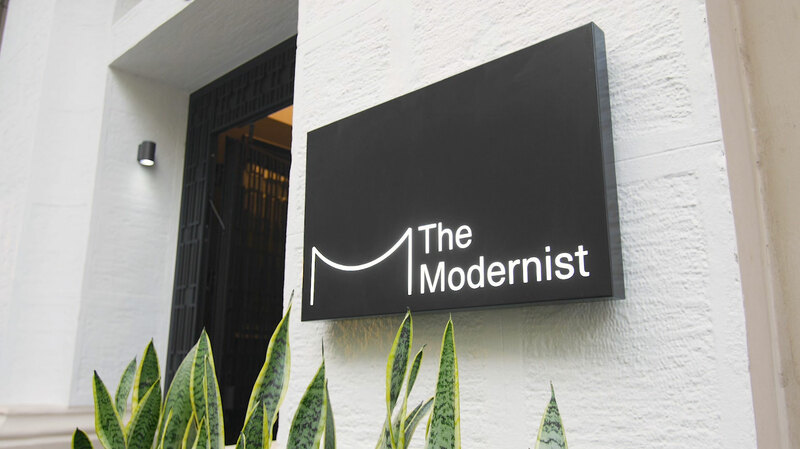 The Modernist combines old-world grace with casual luxury, set in a striking 1920’s heritage building and restored in a minimalist yet sensual style that moves between art deco, mid-century detailing and Danish design. Situated in downtown Thessaloniki, it’s the perfect port of call for constant travelers who know how to live in the moment and are at home wherever they set down their bag. Flying light and often solo, expecting seamless comforts, a bit of local buzz, and highly professional yet completely unpretentious service, they’ll find nothing less than everything they need at the Modernist. We like to think of our rooms as modern-day living spaces. There’s an urban club feel to the cool elegance and soft sobriety of the décor, against the backdrop of its handsome old bones. Designed to fit individual needs, they come in different sizes, S, M, L and XL, each with their own character, corners, and a sense of order derived from custom lighting and furniture made to measure for each and every space. The only variable are the furnished balconies which differ in size and views.